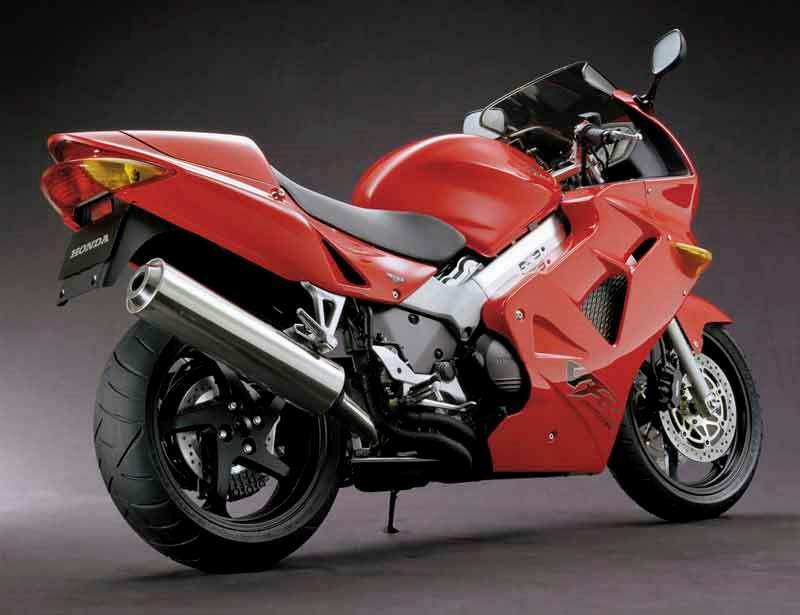 The Honda VFR800i is the best version of the best motorcycle ever built according to some. Honda VFR800i is a consumate all-rounder that looks great and goes better whether you’re on a track day, commuting or heading on a two week holiday with pillion and luggage. 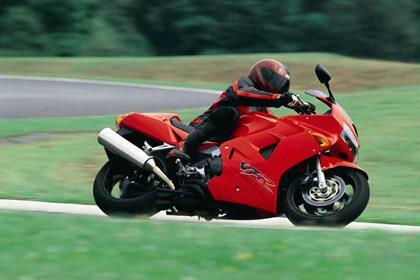 Honda VFR800i is an evolution of the VFR750, which started life as a sports bike but ended as a super sports tourer. The Honda VFR800i is capable and stable in any situation. Nimble enough for the road no matter how fast your mates are. One step more towards the touring camp than say, a CBR600F. 90% of the time that’s great but if the fast group on track days is your aim, a Honda VFR800i is probably not the best machine for you. V-four layout is unusual – it’s more costly and no more powerful than the all-conquering in-line four. But the Honda VFR800i feels and sounds far more exciting and produces more grunt low in the rev range. Competitors like Triumph’s Sprint beat the Honda VFR800i for power and torque, though. Not as good as people would have you believe – but still well above average. Rectifier issue (Honda’s Achillies heel) can cause the Honda VFR800i to stop, potentially with a boiling battery. 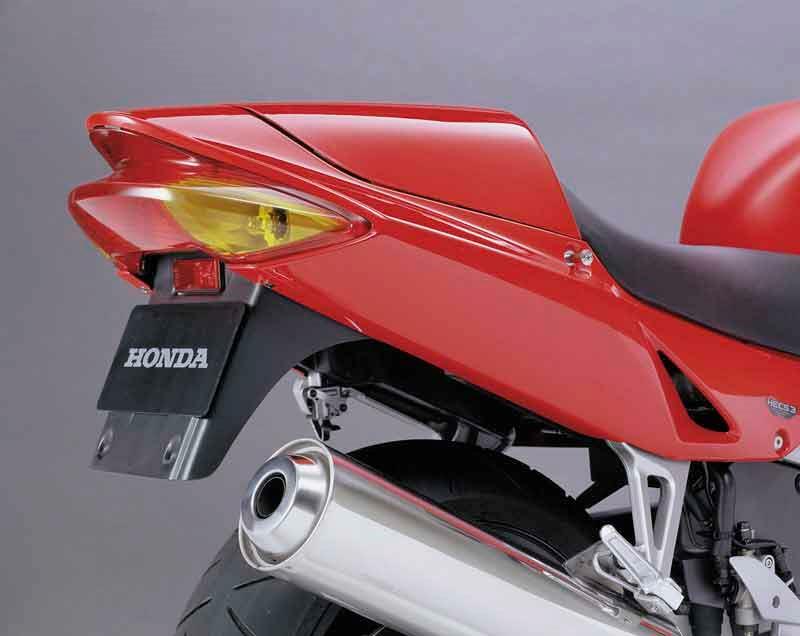 Non-Honda units are cheap and solve the problem before it occurs – later Honda units also work well on the Honda VFR800i. As it’s the pick of the Honda VFR750/800s used values are high. 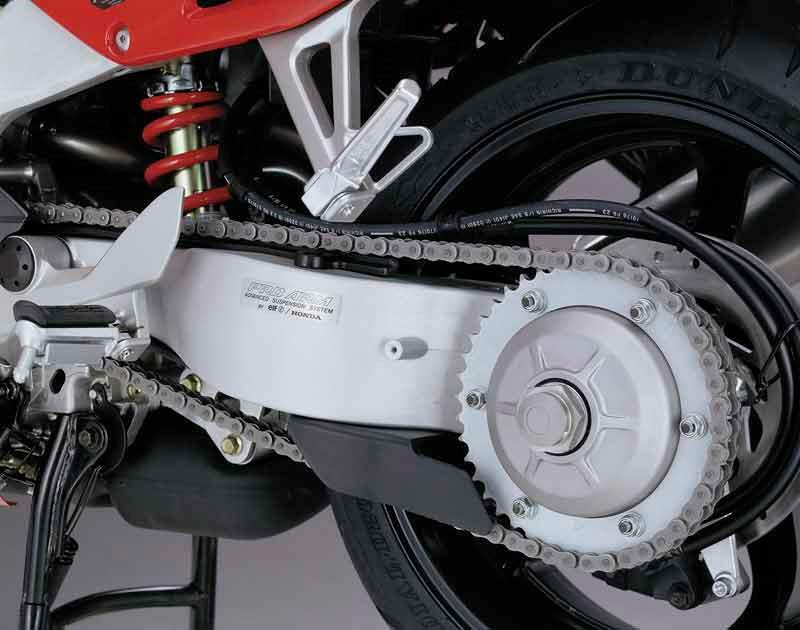 The later Honda VFR800 V-Tec model was heavier and needlessly complex. People know Honda VFR800is last and are happy paying top money for clean bikes, even with average or above mileages. At least you shouldn’t lose much when you sell.  Find a Honda VFR800i for sale. 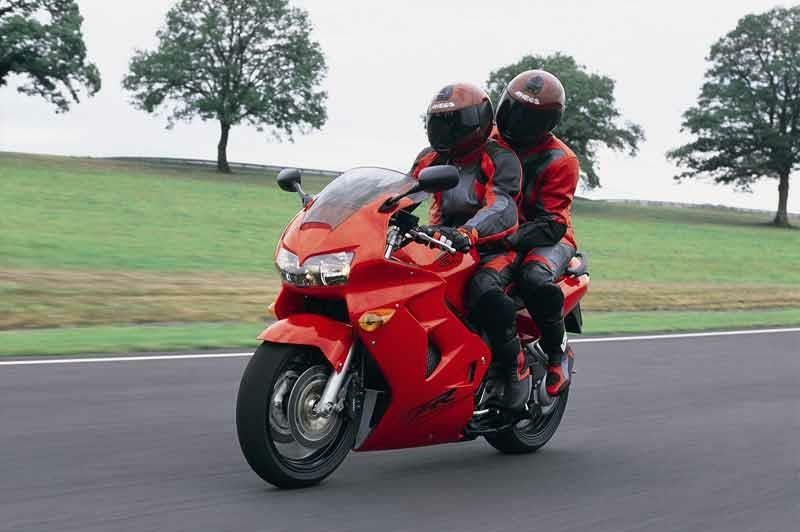 Honda VFR800i carries rider and pillion better than most machines except dedicated tourers and some big trailies. Superb headlights and decent mirrors. Honda VFR800i centre stand is nice in these weight conscious days. 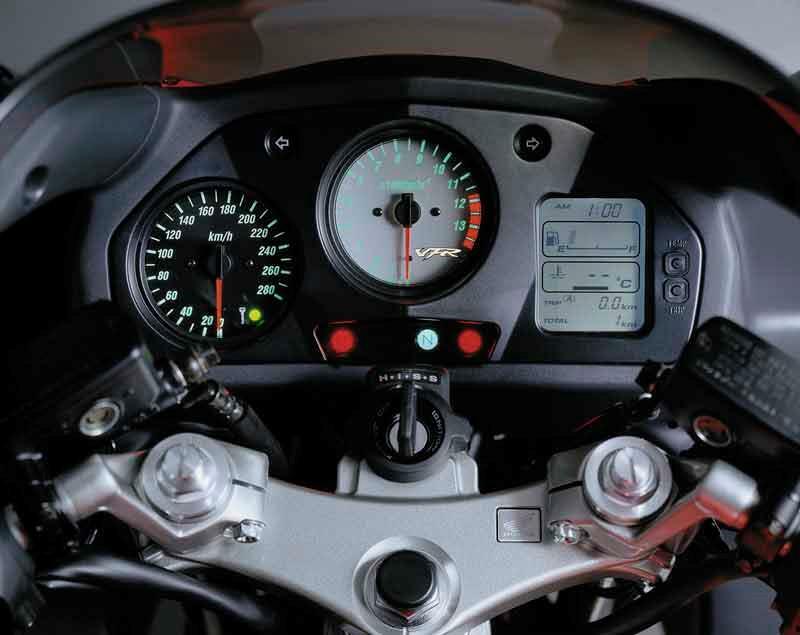 Clocks include fuel gauge and ambient temperature – impressive for the time the Honda VFR800i was made. 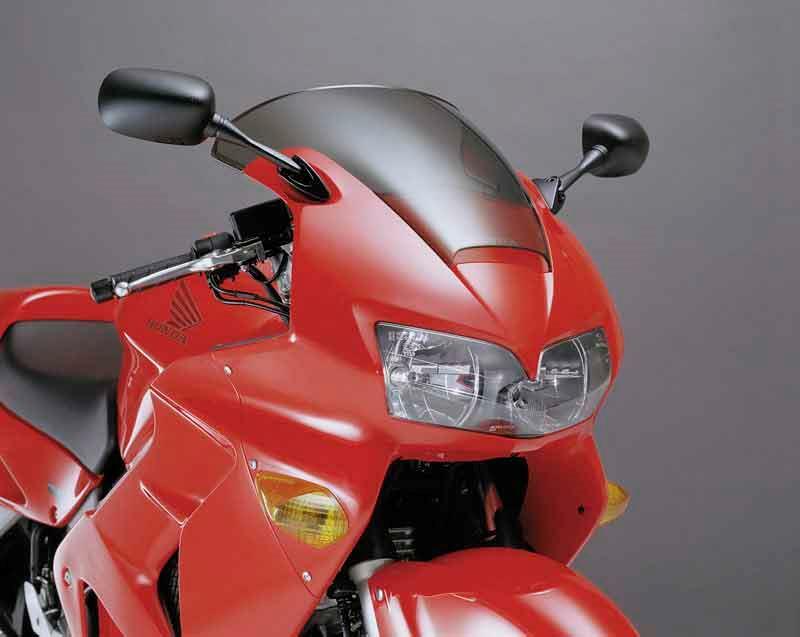 1998: Original Honda VFR800i introduced. 2000: Honda VFR800i gets minor update; slight frame changes, modified clutch, refined fuel injection, more durable electrics, improved mirrors, HISS security system. 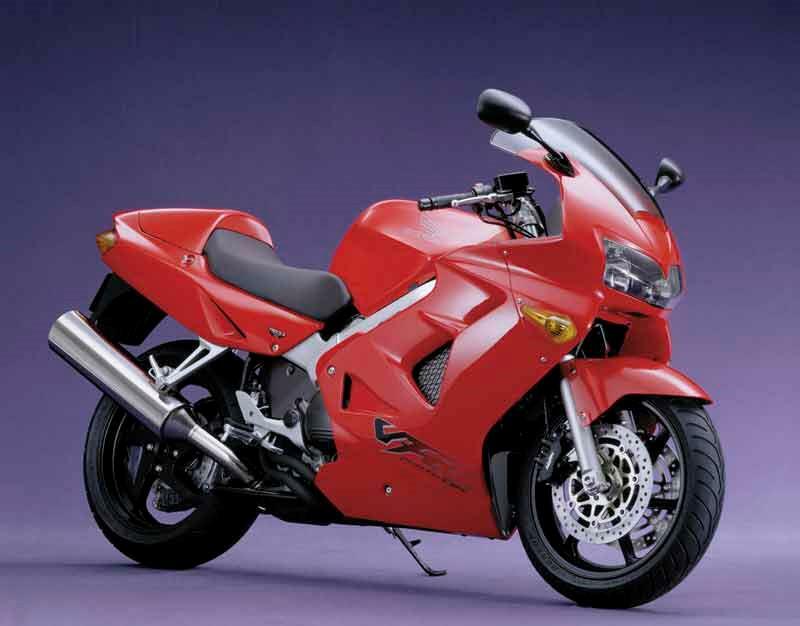 Honda VFR800i Anniversary: Sold in 1999 – identical to the regular Honda VFR800i except for special colour scheme. 35 owners have reviewed their HONDA VFR800 (1998-2001) and rated it in a number of areas. Read what they have to say and what they like and dislike about the bike below. A truly reliable and fun machine, not the most exciting ride out there, but for £1,500 it’s about as good as you can get. I use it for commuting and it does exactly what I ask of it. With a Delkevic exhaust it sounds great, especially higher up the rev range. Stable and predictable handling. No it won’t keep up with a super duke around Brands Hatch, but unless you are a track day regular how many times are you going to ask this if a VFR? Exotic enough sound and plenty of grunt far earlier in the rev range than my 1998 blade. Excellent finish, fork leg lowers have needed some attention, but that’s not unusual for any 20 year old bike. It’s a bike I don’t worry about when I get on first thing in the morning as to if it will start or not. The £200 covers an oil change and set of OEM brake pads I fitted this year. Under seat storage is minimal. Take a rucksack!! Heated grips are a must for winter..
4.5 would be a better rating as it ain't perfect (what is? ), and it's not the best at anything. Glorious, elastic, flexible engine.Even after 10k miles (I bought it at 19k about 18 months ago) I never get tired of that hard knuckle of midrange that starts around 6k and only tails off just before the rev limiter. And the sound? Oh my. With full stainless system with carbon end can, it starts as a lovely lumpy tickover, to a general burbly loveliness when doddering about, to a hard, even, purposeful moan. Just wish it had the adjustability and quality of my old CBR600F's suspension, and was a bit less lardy, and a bit less serious. The CBR was a rock at any speed, despite being lighter. You can tour on it, but I haven't, and it hasn't made me want to. I'm 41, and after 60-70 miles my legs are complaining to the point where I'm taking my feet off the pegs and stretching them out, but that's probably just me. Main problem with it is that it's nigh on 20 years old, and after so much searching I can't find anything to replace it. I think it's exceedingly handsome from any angle, and even with the miles and the age, its detail is a testament to the the fact that when Honda built it, they were not trying to balance the books to a tiny price. I still I ride it every day in all weathers and all seasons, and there is no visible corrosion anywhere, save for a bit of aluminium whitening on some barely visible areas. Brakes have never needed more than two fingers, and I've never locked up either end since I've had it, even when the roads are icy. Linked brakes are on loads of modern bikes now. They were a good idea then and still are. Suspension is fine, but bumps are not as controlled as they could be. 20 year old suspension though, so it's going to be tired. Perfect for the road. Just enough power to feel exciting, with vibes that are never annoying, just a pleasant reminder of having something working underneath you. Loses marks on the reg/rec. Replaced with a MOSFET unit and never had a problem since. Little more expensive as I've done two oil changes, and replaced the chain and spark plugs. Fuel gauge, dual trips, clear dials. Almost docked it a mark because there is no gear indicator, but it felt unfair to punish it for inability to count gears. While tending more to sport than touring per se, this bike does a wonderful job of both. Raised the bars slightly to achieve a more upright position. Helps alot on longer hauls. Why Honda chose to adopt VTEC and drop gear driven cams is frankly incomprehensible. The 2001 was the last of their fifth Gen VFR'S, and is the best bike they've ever made in this man's opinion. Some riders don't care for the linked brakes but I don't even notice them. Braking is great. Ride might be a touch soft, but on longer hauls it helps. Bike engines don't get appreciably better than this one. Smooth power delivery across the band. Revs freely and breathes well. Little in the way of vibration. A great motor. Exceedingly well designed and well executed machine. You can pick up a fairly low mileage Fifth Gen for a few thousand bucks, and it represents one of the great bargains in the world of motorcycling. Equipping the bike with hard bags would have been nice. It IS supposed to be a sport-tourer after all. Purchased privately. Was originally bought by a Navy man who passed it on to his son, who sold it to me. Had 6,000 miles on it when I bought it from him in 2016. The sound.Lovely off beat burble. Scorpion end can fitted, OE was a bit flat. Downside is those linked brakes,work perfectly but in long term ownership they require the dedication of an amphetamine fed cat to change fluid and bleed properly. Just far too complicated a system for long term/high mile use. My arse needs a break before i run out of fuel on a long run. Once did 650 miles in one day. Never again without a better seat. Not as torquey as i thought but you get used to it. Eats my sons CBR6 and gets eaten by a real sports bike. Exhaust eventually rots away, mine now sounds like a dumper truck on methanol. Stainless replacement sitting in the shed to be fitted this spring. Gulp! Fork legs past their best and the wheels have that white surface corrosion that needs a powder coating firms attention. Always been reliable and put up with my half arsed cleaning and maintenance,though i change oil regularly. Higher if serviced at a dealer. My costs were the rough sum of service items, tyres,chain and sprockets etc worked out over a three year period. Average 11000 miles a year. Michelin pilot road 4's have me scraping pegs in the summer, not sliding or dodgy in the winter. Love them. Double bubble screen was a waste of money, Honda had it right (6ft2 me). Scottoiler does save money but makes a hell of a mess. Private sale,paid £1700 and it was a fair sale. The bike was near mint when i bought it with 30k, now 77k and cough cough, well used. Perfect for me; why would I want any other bike? Finest Sport-Touring bike ever conceived. It's V45 based motor is excellent. Would I recommend? A friend reported finding a low mileage, excellent condition example for sale at an astounding price; I told him run-not-walk to buy it. Smooth confident rides on twisty back roads at reasonable speeds are what it does best; neither me or the bike are track stars, so warp speed is not my thing. I did hold it at 120 MPH for 2 minutes once on a safe rural road and was surprised at how absurdly smooth and absolutely NOT scary it was. Outstanding motor; the FI is managed very well giving smooth response at every speed and in every gear. The cooling fan often makes itself known in slow traffic but i tend to avoid such situations; I run Evans coolant so it will never boil. Everything on my bike has fared well; however my previous Honda Sabre V45 suffered the infamous regulator/rectifier failure a long way from home. I was saddened to find that problem had not been resolved on the VFR800. It is possible to upgrade the R/R to a unit similar to that used by Yamaha. I did that a few years back and now ride further with greater confidence. I do all service myself; major expenses are tires, oil & filters. A Scott oiler greatly reduces chain wear/adjustment. It was a leftover in 2000; the price was good. Sad that more riders could not recognize the value of this terrific machine. After owning 40+ bikes i have found the one! comfortable, powerfull enough, excellent sound with aftermarket can, brilliant brakes when bled correctly, good vision at night and decent tank range also handling very good. my dual linked brakes are spot on as i regularly bleed them and clean the pistons when i change the pads, no brainer really. only flaw as with most Honda's is the regulator rectifier, get a relay fitted for heated grips/sat nav etc and your'e all good to go. I've had all types of bikes ranging from sports, big sports touring, modern retro etc but keep coming back to the old faithful 5th generation and best model Honda VFR made. Linked brakes are good but down on outright stopping power. These rack up high kms with simple maintenance. On my 4th VFR800fi and although they could do with another 30hp and 40nm of torque nowadays there's just something special about this 5th gen gear driven camshaft engine. Fit a staintune highrise pipe and you have one of the best sounding bikes still today. does everything well enough. smooth, quiet, yet great V4 hum as the rpms rides. i have three givi bags and a custom windscreen. two HIDs, and two HPLEDs. Handles very well in wet and windy weather. Styling is still appealing. i have had it since 2003. i road test bikes, but this is still the only one in my garage. I do get 49 mpg on regular. AMSOIL makes it run smooth. Worst feature: center stand hard to get on when you have givi bags with stuff in them. rides very well even on bad roads. had others wanting to ride mine back on a trip. brakes are upgraded to EBC HH+ pads. Front and rear shocks have been upgraded. Front with heavier fluid, and rear Ohlins, all set up at the race track. love the quiet at start, and mid-range V4 hum at rpms. engine horsepower and torque curve is linear like an electric motor. Good torque from 2500 up. 4000 is a good rpm for cruise, and hot weather. i live in the desert and larger radiator option would be nice but i have not had it overheat yet. they say keep it below 240 degrees F. The cam driven engine is much better than the VTEC. i only had a needle bearing changed at 45K. no rectifier problems even in this heat. i did put a 10$ computer cooling fan on it. Overall it is a start and go bike. i don't do any repairs per say. Once in a while something needs attending to but it is every other, or every third or fourth year. I have 45000 miles on it so far. Runs better than the day i bought it. No plans to change. great all around bike. i modified mine. HIDs, HPLEDs, custom touring windscreen, 3 givi bags, tail lights that go on during deceleration, and flashing lights when i apply the brakes. i put on six extra lights, and lots of reflectors. They see me at night and at day. i put a fan on the rectifier. i have a light telling me what my voltage is. i run pilot road 3s, came from pilot powers. loved them both. only 5k on the 3s, look brand new. great in wet weather, good stopping power, always in control, no drama. Easy to add accessories as no CAN-BUS. i was renting bikes, and this was one of the rentals they were selling. i rode this one and a VTEC and chose this one, 13 years ago. still the only bike in my garage. Been riding 40+ years, the 5th Gen VFR is the best all-around motorcycle I've ever owned or ridden. I've nothing negative to say about it. All I've added is a power outlet, a throttle lock, and a truck. Bought my first VFR in 2001, sold it to a friend after 26K miles. Bought my second 2001 VFR in 2012 with 1245 miles on it. Currently about 6K miles. Where else can you find a bike capable of 140 mph, 50 mpg, and a 250 mile range? There is a reason for all the five star ratings, the 5th gen VFRs are that good. I put 70,000 miles on two 5th gens in 66 months. My 98 had 117,000 miles on the odo when I sold it last year, and was running strong. I sold it to get a low mile Y2K bike for $2,400. These bikes run great, don't burn oil even at high mileage, and are solid, all around motorcycles. I am 6' tall with a 32 inch inseam, and have logged several 13 hour/500 mile days on the stock seat. Leg position gets a little cramped after 3 or 4 hours in the saddle, but by that time I'm ready for a pit stop anyway. If the ergonomics fit you, the 5th gen VFR is hard to beat. Used my bike for commuting and weekend rides (some of them 12 hours plus). Suspension is a little on the soft side. 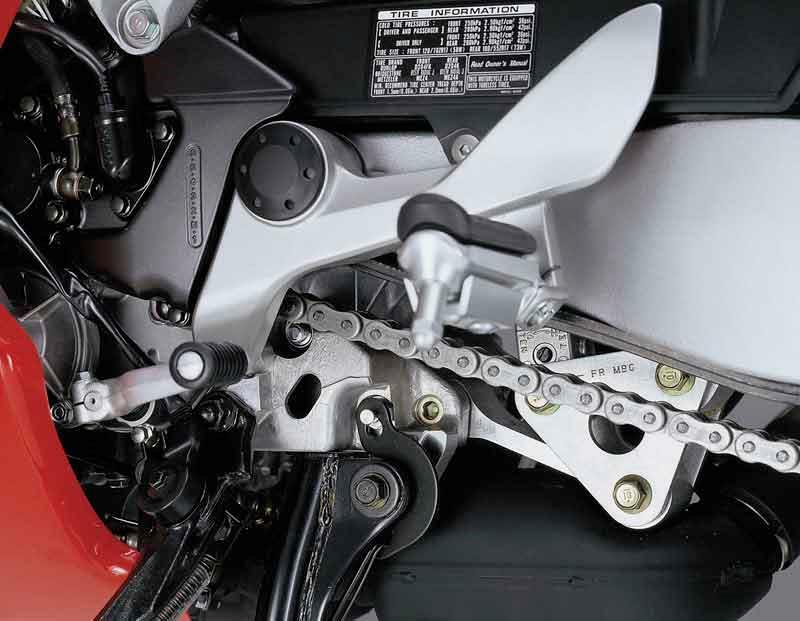 Forks have adjustable preload, Showa mono shock has adjustable preload and dampening. Bullet proof engine. Power really comes on above 7000 rpm. Gear driven cams sound fantastic. I have had Vance & Hines and D&D aftermarket exhaust, but the bike runs best with the stock can. Oil change requires removal of the front left fairing. Valve checks require removal of both radiators and the throttle body. Camshafts must come out to adjust the valves (shim under bucket). The electrical issues are overblown. The regulator-rectifier is a well documented weak point on these bikes. The stator on my 98 lasted 68,139 miles before failure. Aftermarket wiring harness conversion is a popular upgrade: totally unnecessary in my opinion. However, a functional voltage monitor is recommended. Cost for oil and filters, and a few parts here and there. I service the bike myself. Pretty basic instrumentation: Tach and speedo. Idiot lights for high beam, oil pressure, neutral, and check engine light (FI light). LCD display has total miles odometer, two trip meters, and engine temperature. Excellent all rounder that is top quality and engineered to last. If the VFR800 were a fine wine the 5th gen from 98 to 02 would be the vintage years. Look at the quality and standard of engineering. Get a good unmolested, well cared for bike and get better rate of return than you will get in a bank account. Probably better quality that most bikes made since. After a period of some poorer quality bikes in the 80's, Honda completely over engineered the pre V-TEC VFR's. Purchased new in July 2000 from local Honda dealer. Only modification to extend the mirrors. Replacement tyres, chain and cogs are the only costs incurred apart from service costs. It is in showroom condition and when parked up draws attention from other bikers. In 2000 it was viewed as the best sports tourer, in 2015 nothing has changed, in my opinion. Used all year round but does have a few gremlins such as the electrics can let you down on high mileage bikes. very sure footed, brakes are great, handling perfect and plenty of power when you need it. I do my own servicing which is very easy, but have spare set of fairing fasteners handy. Phenomenal overall bike. I doubt I will part with her easily. Purchased privately from original owner with only 1800 miles on the clock and 8 oil changes over the lifetime of the motorcycle. Yes 8 changes in 8 years and only 1800 miles. Superb economy motorcycling ... on a qiuck bike! Never had less than 52mpg! So have no idea what they did to get 38 mpg....must have had a fuel leak. Only bike I can ride for 220 miles between tank refills without having to get off for a break. Just a brilliant design. The best thing about this bike. 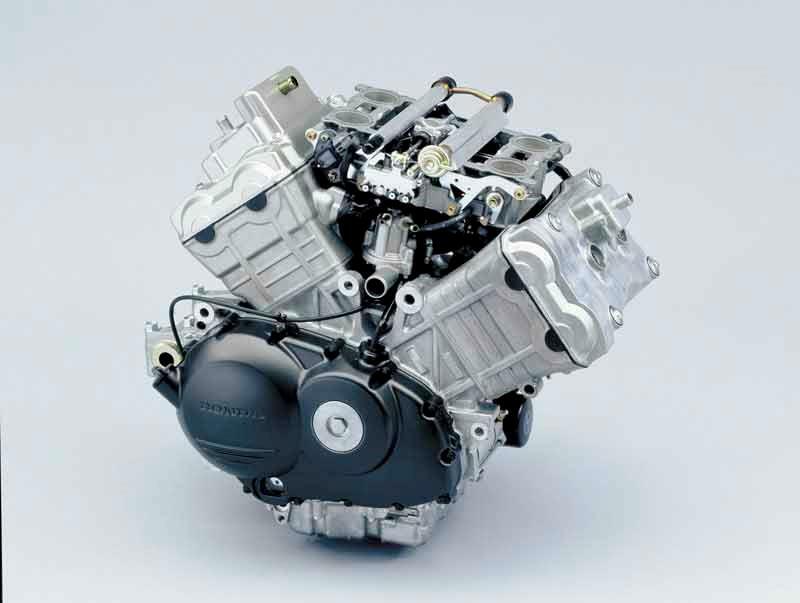 Power and torque in abundance from 3000 rpm, but do use high octane quality fuel if you want it to run ultra smoothly. Rectifier went so tried a cheap Ebay item which lasted 165 miles! Purchased a proper Honda update rectifier and never missed a beat since. Has everything you need and I get on very well with the combined braking system. Buy one that has just been serviced and had the valve clearances checked as doing properly costs a packet. It's still a good bike. Well built, very few corrosion. Good Honda reliability....... No regulator problems, yet. Had to replace the thermostat at 50,000kms. It was stuck down and motor overheated in hot weather. Spare and new parts are easy to find online. I was unsatisfied with the riding position and the seat quality. So i bought a new seat (it's hard as a rock), installed convertibars to raise the handlebar position and added an X-screen to protect from wind. Not perfect but much better...... For me! Overall, a pretty and good machine. I really recommend the 98-01, but I'm not so sure for the V-tech version. A loveable workhorse with the ability to really entertain when asked to do so. A relatively light and compact sports tourer with a glorious v4 engine. The riding position is a oerfect compromise between long distance comfort and short blast sporty crouch. I admit that I've neglected maintenance on mine for two years as its getting long in the tooth, has a high milage and is getting a bit tatty to look at; the bike has coped perectly well and hasn't (yet) complained. (Reg/rec issues mentioned below have nothing to do with servicing). With a free flow exhaust, the growl and scream at high revs is fantastic. The whine from the gear driven cams at lower revs annoys some and does sound a bit like a milk float but its drowned out by the exhaust most of the time. Perfect with the (big) exception of the bloody reg/rec; I've had to replace mine twice in 6000 miles, each time being left stranded a long way from home when the problem occured. No electronic aids or factory luggage options available. Not a problem for me (i prefer using rucksacks) but it does mean it falls a bit short compared to newer sports tourers. Had a 750 vfr many years ago pleased with it.Now in my seventies and feel 800vfr a little crampted.Could do with lower footrests and higher bars. Linked brakes a two man job to bleed,my arms not long enough!! Vfr 800 bought with 37k on the clock.Needed new fork seals and rectifier and stator. Too early to say yet apart from the above costs.I do my own maintenance usually.Fuel injection added to a tank full and now getting 45 mpg easily and super smooth engine. BEST SPORT-TOURING BIKE ON THE PLANET ! Higher handlebars, lower foot pegs, a Sargent seat and a taller Givi sport-touring windshield has made my '98 a comfortable sport-touring bike. Only problem has been the darn regulator that went out on me. I replaced it with a heavy-duty 50amp, larger wires and a fan. That was 7 years ago and no problems since. The best VFR800, in the states, is the '98 and '99 because in 2000 Honda changed the exhaust and put a catalytic converter and smaller exhaust pipes. 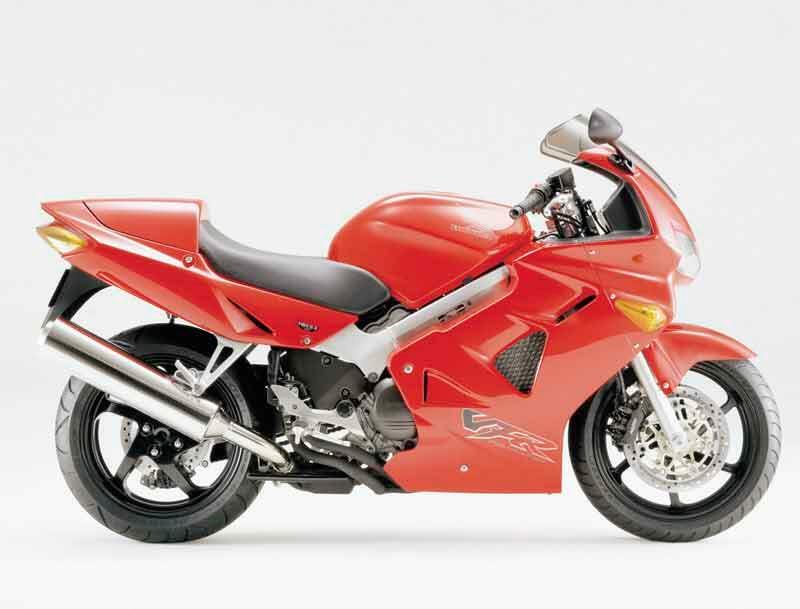 I also had a 2002 6th generation VFR800 and didn't like the V-Tech and higher exhaust pipes. A clean '98 or '99 is becoming very collectible. Also, the 5th generation is far more better looking than the new silly looking sport bikes with their little tails up in the air. After many years of only buying the latest machines,this bike has opened my eyes to the wonderfully rich world of older machines.the last two bikes i owned were a 2008 mt03 and a 2012 fz1n. The Vfr is way more practical than the fz1 and I genuinely don't notice the reduced displacement at all and nearly as much fun as the mt03 (itself a seriously underated machine which I still sometimes miss). The overriding impression on the Vfr is one of pure quality with a truly sublime engine.I had to replace the reg/rec after 1300 miles of ownership (no surprises there) but other than that (and 4000 miles later) it has run sweetly and trouble free. The sound is exquisite (fuel can and snorkel removed); the control are creamy smooth and the riding position is perfect. And I think it looks really stunning (red). Mines in good nick but as soon as I'm able I'm gna treat her to a full respray and bring her back to showroom condition. A truly magnificent motorcycle. This bike epitomises what bikes should be like. No nonsense, pure fan in any road (or track), either solo or two up with full travelig paraphernalia. Great engine, great brakes, great chassis, buit quality out of this world, could do with a better shock. Mine is 14 Y.O. and still looks like new. I bought a 1998 model in 2009. It was not my first choice of bike to return me to biking after a very long break. It was bought at a bar-b-q at a friends and I fell in love with the look of it. After renewing the exhaust system, getting hold of a Fuel end can off e-bay, putting some bar risers and an MRA touring screen on it, I cannot think of any reason why I would want to go out and buy any other bike. I would not want to go any faster, would not want to accelerate any quicker and I think you would be hard pushed to find anything more reliable. I have not rode the latest R1 or GTR 1400 because this bike does everything and more I could possible want from it. I love the way it looks, love the sound, great headlights, beautiful at motorway speeds and easy around town. I still look in showrooms and other bikes at bike meets due to my passion for all bikes but I am so glad that I get on my VFR to ride back home. Perhaps one I ill get something newer but I know the VFR wil always be my favourite. We'll thats what it said in a Mag review I read back in 2000 which sold me on my '99 50th Anniversary which I purchased in '05 with 2000miles after totalling my previous '03 VFR Vtec. 32000 mainly fun Sport touring miles on must say besides replacing the original SH579A11 R/R with Honda Upgraded SH689DA R/R in '08 has been 100% reliable. Good points brilliant Sound both from GDCs and Arrow end can enjoyed both through twisties and city commuting, great tank range, comfort for up to 750mile days, competent handling everywhere enough to stay with sainly ridden Superbikes especially good on iffy surfaced unknown back roads. Absolute contentment after 6 years with the expectation I'll remain contented for another Six. Negatives only the thought it may not last me forever which only surfaces in my minds background whenever a mate trades their Gixer/blade in on yet another new model. Of all the bikes I have owned this stands out as a brilliant machine. I own a '98 VFR800 and it still gets regular use even though I also have an '05 FZS1000 in my garage. The V4 engine is like no other and an absolute joy to ride. The fact that the bike carries a bit of extra weight compared to a full-on sportsbike gives it an advantage both in terms of road holding and comfort. Despite being 11 years old mine is still used for touring and this year covered over 2000 miles in two weeks of riding around Spain. A lot of bikes get a lot of hype and this is one of the few machines about which it is all true! Other bikes will come and go but this will always have a place in my garage. A fantastic bike for long distance commuting on motorways and cross country for a bit of fun. This is my first big bike and I am really happy with it. I had an evening swap from my Yamaha FZ6 fazer to a VFR800. Riding position takes a bit of getting used to after the wide handlebars on my FZ, and it's a while since I've leaned on the bars as well so that was a bit odd. Also, that one's done 34k, not too much for a VFR but I think they've been hard miles so it feels a bit tired, but still rampant. So, what are the plusses? Well, it goes like a scalded cat. My god, the torque is fabulous. It snaps away from lights, really, like it's trying to get away from me. It is super comfortable, especially for a "sports" riding position. The noise, well, what can I say about the harmonising of the gear cams and the V4 burble. Do you know what? It reminds me of the V8 cars I've driven - Rover V8, BMW X5, Bentley Arnage - it sounds like them and, strangely, it feels like them too. It's so smooth. The instrument panel is very good, scary how high the numbers go on the MPH bit. Maneuvrability is surpisingly good for such a big, heavy machine, but then Honda's have always impressed me with their ergonomics. What are the minuses? Well, the main ones have to be that it is a smidge high. I didn't have any problems with it, but if it were mine I'd fit a new rear shock and lower it by 15 or 20mm. The engine braking is REALLY noticable. After an inline-4 it is shocking how it snaps you forward when you let off the throttle. I do miss the big whack of power that comes in on my FZ6 around 6k though. All the oomph lives up the dusty end of the rev counter and I did think that the VFR had all of it's party tricks at the lower end of the rev counter. I have to confess (and I know you'll not be too harsh on me when I say this) that the VFR did make me behave a bit like a hooligan. I found my self gunning for gaps I'd not attempt in the FZ as that whack of low-end torque really makes you feel nimble and I rode in a much more positive way. There was no need for the constant dancing on the gears. I really, really want to try one of the newer VFR800s now to see what they are like with variable valves. I'd also like to see what a fresh one feels like. What's more I can really see my self moving up to one of these towards the end of the summer. This is my first bike and so I can't speak yet with years of experience, however, if you're looking for a bike (like I was) that handles like a dream, eats motorway miles, has a great level of performance, is comfortable and is good on insurance too - then the VFR800i is the one for you! ..I read tons of reviews about the VFR800i before buying and after finding the 'one' I made the leap of faith.. no regrets! If you have found 'the one', then don't hesitate. Have fun and be safe! 35,000 miles and the only non wear and tear problem was a broken LCD circuit board, which cost about £200 to fix. The linked brakes were a bit crap, but braided hoses sorted this out. It does 180 miles to the tank, and is comfy for the pillion as well. The wife has done over 10000 miles. What can I say - It's more reliable than any car I've owned, and sounds better too. The only other thing it really neeeds is a remote adjustable pre-load for the rear suspension if you plan to tour with luggage and/or pillion.